MOORESVILLE, N.C. (December 13, 2013) – Turner Scott Motorsports (TSM) announced today that driver James Buescher will not return to the organization in 2014. Buescher, 23, has driven for TSM since the team’s inception in 2010. In addition to winning TSM’s first championship when he captured the NASCAR Camping World Truck Series (NCWTS) title in 2012, the Plano, Texas native has recorded seven victories for TSM, six in the NCWTS and one in the NASCAR Nationwide Series (NNS). 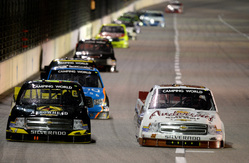 Buescher also earned seven poles for the team across the NCWTS (five) and NNS (two). Turner Scott Motorsports, which captured a NASCAR K&N Pro Series East (NKNPSE) championship this past season with Dylan Kwasniewski and earned 10 wins total across the three series in which it competes, will continue to field multiple entries in the NNS, NCWTS and the NKNPSE in 2014. Information regarding Turner Scott Motorsports’ sponsor and driver lineup for 2014 is forthcoming. About Turner Scott Motorsports: Turner Scott Motorsports was established in 1999 and has become one of the most successful organizations in NASCAR by combining the business acumen and shared passion for racing of co-owners Steve Turner and Harry Scott Jr. 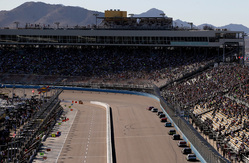 This season will mark the fourth season of full-time NASCAR competition for the organization, which expanded in 2011 from a two-truck operation in the NASCAR Camping World Truck Series (NCWTS) to become the largest stand-alone multi-series team in NASCAR’s top-tier touring series. The team earned its first championship when James Buescher captured the NCWTS title in 2012. Turner Scott Motorsports operates out of an 110,000 square-foot state-of-the-art facility in Mooresville, N.C. The Chevrolet-backed team has created alliances with General Motors’ powerhouse team Hendrick Motorsports, which provides engine support for both its NNS and NCWTS programs, and Earnhardt Technology Group for drive train and suspension technology assistance. 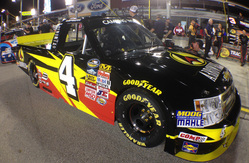 For more information on Turner Scott Motorsports, visit www.TurnerScottMotorsports.com.